Our club goes back a long way. 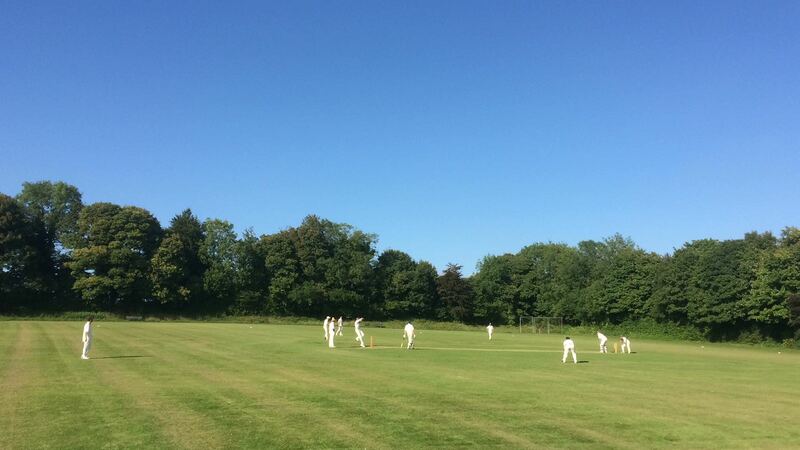 In 1825 West Meon CC played a game of cricket against Medstead. The winner’s trophy was a large bell which had been found in a barn near the cricket field. The story goes that Medstead won the match and the trophy forms part of the church peal to this day. True or not, it is a good story. 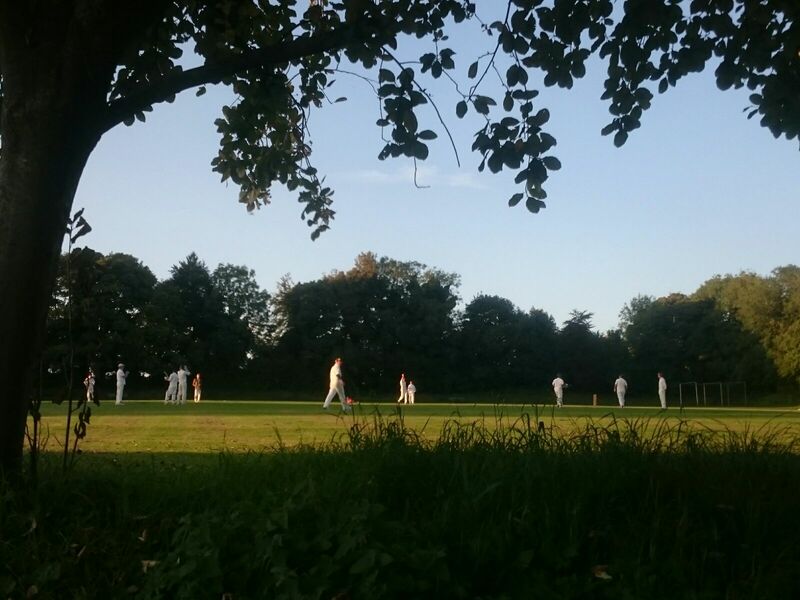 We are known for our charming local ground, the spirit in which we play cricket and our first class teas. Thomas Lord himself only lies 200 yard from where we play. This is an enthusiastic, welcoming team. Join us! or you can contact David Swain at davidswain5@yahoo.co.uk for more details. I always love playing Newport Inn. Firstly the setting is beautiful. Secondly the teas are great and finally here is a team that really plays Sunday cricket in the right spirit. 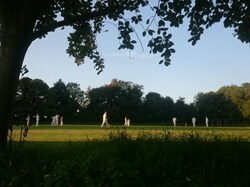 To make things better, the sun shone and after last week’s wash out it was fantastic to be playing cricket again. For the ninth time in a row the skipper called heads and for the ninth time in a row it came up tails! So we were put into the field. Opening up was Nick Morris and Andy Nash, both bowling with great accuracy on a slow and docile wicket. Wickets gradually fell as Newport Inn steadily accumulated runs. Peter Moore (2-27) was in particularly fine form keeping boundaries to a minimum. Their number 5, D Brown, however accelerated things nicely in the middle of the innings making a quick fire 51. 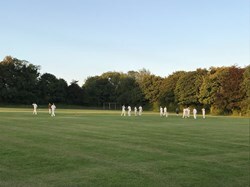 Wickets were spread around between Nick Morris (2-15), Andy Nash (2-48) Stuart Smith (2-28) and Harvey Nash (1-29). 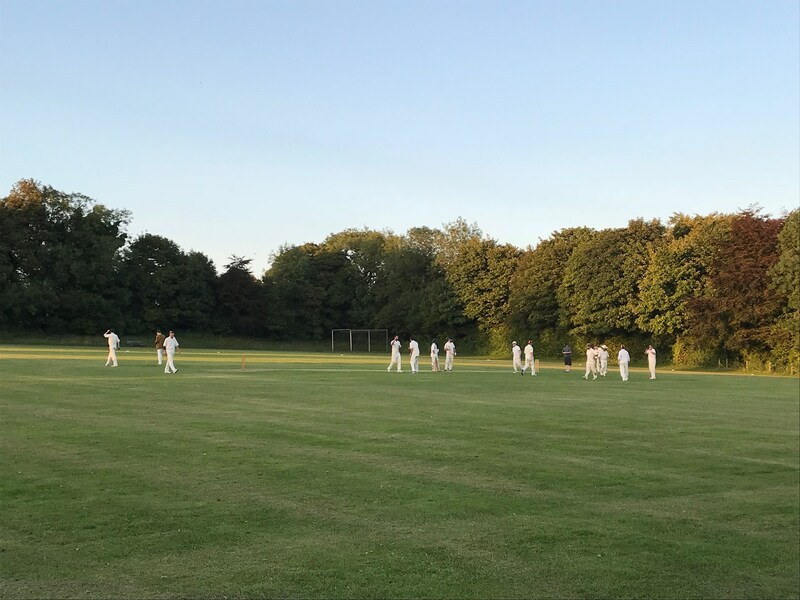 All were ably supported by a terrific fielding display, that included two outstanding catches by Andy Nash (one reflex catch in the slips and the other a breathtaking one handed effort in the deep off a ball that was seriously travelling). 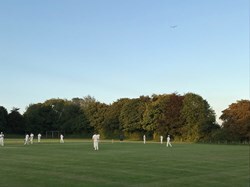 Nick Morris likewise produced a beautifully executed catch in the deep to remove their dangerman and even the skipper got in the act, running out their last man with a direct hit from mid on. So The Tigers were set a target of 184. After a sumptuous tea, Stuart Smith and Harry Clarke opened for West Meon and quickly made light of a normally testing total. Both punished any loose balls and got us off to a wonderful start. Stu fell with the score on 80 but the openers had achieved this in only 14 overs and the damage was done. But rather than taking things easy, this only seemed to make Harry hit the ball even harder and soon he brought up a most fantastic century off only 89 balls. He was finally to fall, caught in the deep for a most brilliant 116. This left Charlie Carter (28 not out) and Jeremy Sturges (15 not out) to finish off the job. 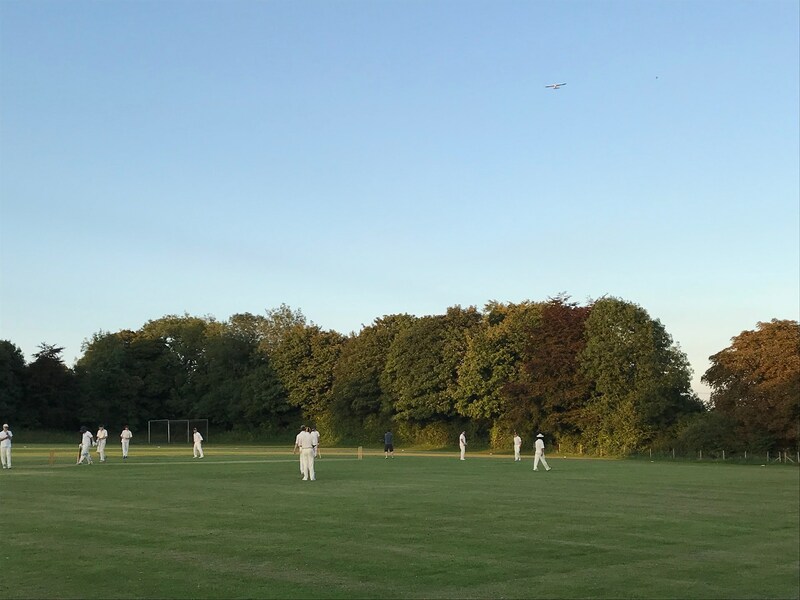 So West Meon won by 8 wickets with an incredible 12 overs left. All that was left was to enjoy some fantastic ale at the pub, along with some delicious potatoes and Yorkshire puds kindly donated by our hosts. 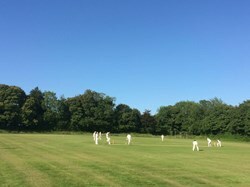 So thank you to The Newport Inn side for a wonderful days cricket - on the day that England also beat India at the Rose Bowl.